At 8th conference on socially responsible business, organized by the Croatian Business Council for sustainable development, sponsored by the president of the Republic of Croatia Kolinda Grabar Kitarović, Ministry of finance, Ministry of economy, entrepreneurship and craft, Ministry of environment protection and energetics and the City Council of Zagreb, which was held today at the Esplanade Hotel in Zagreb, Podravka was presented with a Special award for human rights for its PULS association. Podravka's Association of volunteers PULS originated within apprenticeship program SHAPE, where Podravka's youngest highly educated employees work in groups on mini projects. One of mini projects given to SHAPE apprentices was to create a mechanism which will enable Podravka employees to engage in volunteering activities, and at the start of their professional career they will make aware the significance and importance of the area of socially responsible behaviour of our company. 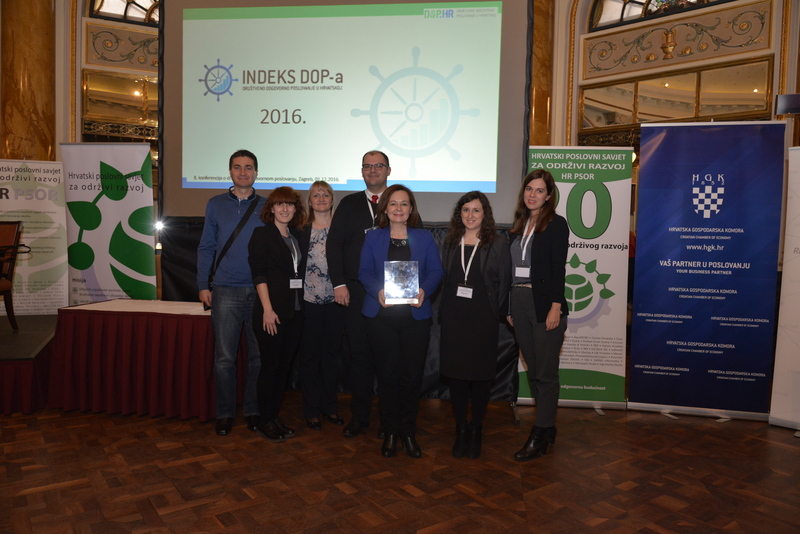 Their solution to the task was PULS association (PODRAVKAŠI U LANCU SREĆE - Podravka employees in the chain of happiness). Association is exclusively a result of motivated young people, highly aware on volunteering as one of the segments of socially responsible behaviour. Today it has 138 members, while in the past three years 24 activities and initiatives were performed, and Podravka management Board members are also members of the association. Association goals, set in their Articles of Association, is the promotion of the idea of volunteering, providing free aid to those in need and ensuring and improving the quality of living of the socially endangered and excluded social groups. Through its managing structure and flexible organization, it has set the framework of safe and encouraging working environment where the differences in knowledge and identity are contained in generational differences and are recognized as a source of value for PULS and Podravka, thus actively contributing to raising public awareness on specific human rights problems in the community, through activities such as providing aid to refugees during migrant crisis in 2015. 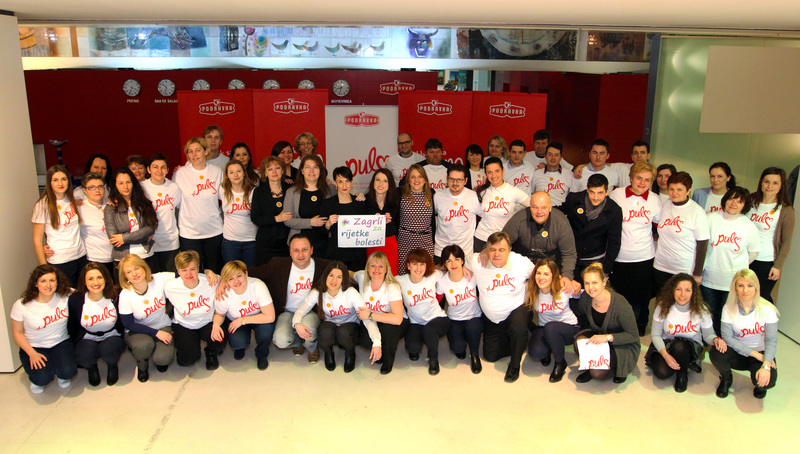 Engagement of the PULS association provided Podravka with numerous new partners, such as Latice association, Our angles, Ana Rukavina foundation, Smile association and numerous others, and some of those partnerships grew into true friendships. Some of the most significant projects: gathering aid for the flooded Slavonia, cooperation with Latice association gathering adults with intellectual difficulties and providing aid during migrant crisis.